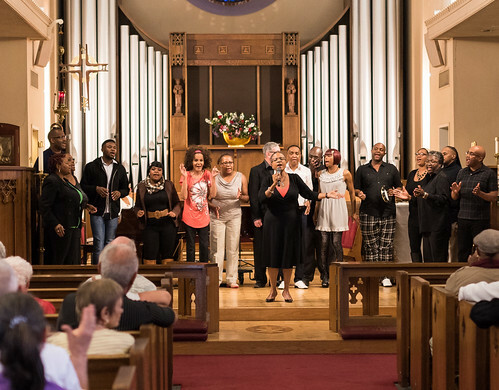 Yvette Flunder and "Positive Prophetic Expectation"
Trinity Cathedral hosted The Rev. Dr. Yvette Flunder who delivered a powerful address titled, "What's Next: Developing a Theology of Positive Prophetic Expectation." She brought the choir from her church, City of Refuge in Oakland California, so we were blessed with a concert as well. At the end of the evening we recieved a specail treat when Yvette's partner Shirley Miller sang her hit "Oh Happy Day." It was a spectacular evening. Below is a video of her talk as well as a collection of photos.